Tuesday July 12: UPDATE: Meeting rescheduled to Wednesday July 13 6:30pm at the SSFUSD District Office. Important school board meeting regarding construction at Buri Buri. The board will be discussing bids for small projects to improve the front school gate, add an additional entrance, interior access to the office, complete the paving and installation of the larger playground behind the solar panels, and allow access to the library. We need lots of parent support at this meeting. It will be at 7pm at Baden HS 825 Southwood Dr. SSF. Sunday July 24 from 2-4pm: Incoming K/TK family playdate at Buri Buri Park. 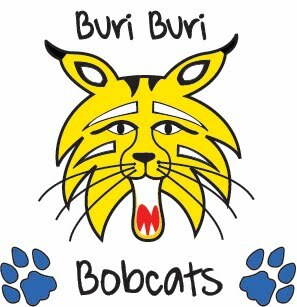 All Buri Buri families are welcome to attend but we would especially invite new families to come so your kids can meet their future classmates. FYI: we have not reserved a picnic area so please bring blankets to sit on in case the tables are occupied. 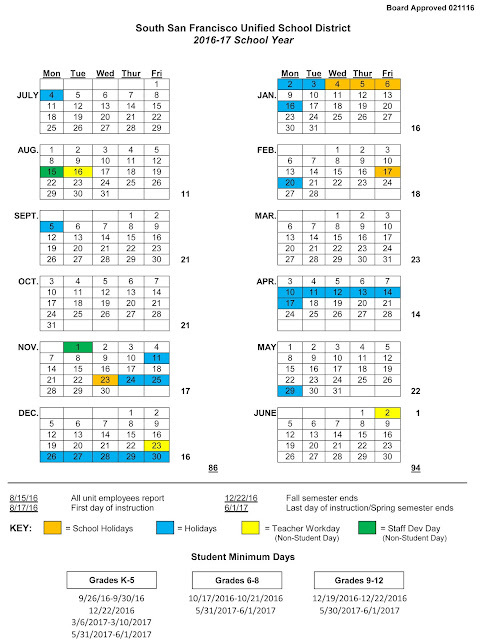 Early August date TBA: Parent meeting regarding school construction plans. Please look for more information in a few weeks about this meeting. Friday August 12 time TBA: Kinder/TK orientation at Buri Buri: Kindergarten and TK students will be invited to see their classrooms, meet their teachers, learn about their school day and tour the school. Wednesday August 17: First day of school! Welcome back Bobcats! Class assignment letters go out about 10 days before school begins. If your student requires medications at school they must have a doctor's note form completed and medications at the office before the start of school. Forms are at the district office or at the Buri Buri office after August 1st. Also, please see this information regarding free meals provided to all kids under 18 years old. No qualifications or sign up required. Just show up and get a free meal for your kids!